Fire suppression systems are your first line of defense when there is a blaze. 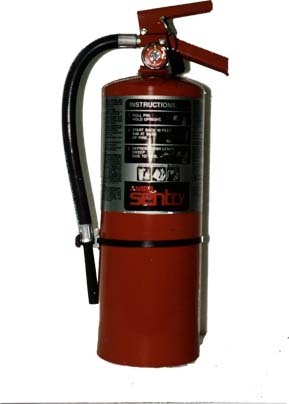 Fire extinguishers are, therefore, a necessity‒not a choice. Every residential, commercial, or industrial building should have them in locations that are convenient and easy to access. Many different types of fire-protection systems are available, including powder, water, CO2, and foam. It is important to identify the materials on your property (especially in commercial buildings and manufacturing facilities) in order to have the right firefighting systems for your needs. Choosing the fire suppression system that is right for your facility requires consideration of your particular needs and of price. For instance, although foam systems are more expensive than fire extinguishers that use water, foam offers increased protection because it is safe to use on both solids and on flammable liquids. A CO2 fire suppression system has an even further advantage in that it can be used not only on flammable liquids, but also on fires involving electrical apparatus. Whereas foam and water are unsuitable on electrical fires, CO2 is ideal. 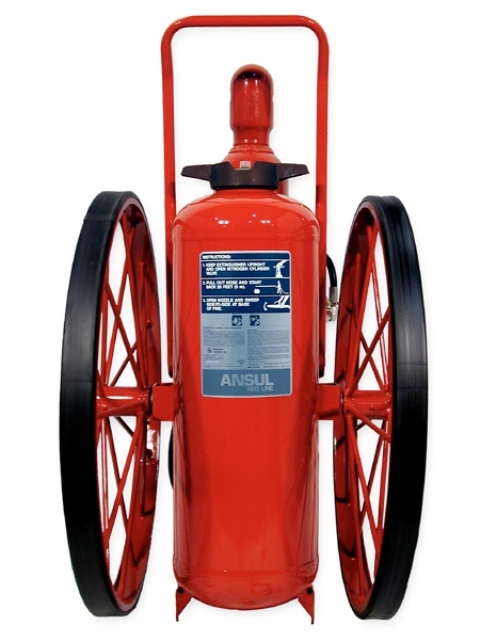 Choosing the right fire suppression system or extinguishers can be confusing. Albilad Fire Fighting Systems Company Limited can help. We offer the latest fire protection systems in Saudi Arabia (and the USA), and we assure that you have the correct equipment for your needs. Place an order with Albilad for fire extinguishers, including the latest foam systems and CO2 suppression systems in Saudi Arabia/Middle East. Albilad brings you the most trusted names in fire suppression systems from all over the world. Furthermore, those systems are manufactured (or assembled) right here in Saudi Arabia to meet your individual requirements. Our trained and experienced staff is well versed in local and international standards. 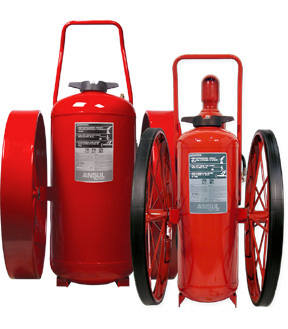 We can satisfy all your fire detection and fire protection requirements, whatever they may be. Albilad employs the latest fire suppression technology in our local manufacturing facilities to ensure quick and efficient response. We are constantly upgrading our services, and we are the first choice of large companies like SEC and Mitsubishi. We are also approved by Saudi ARAMCO as local manufacturers for a wide range of fire-protection products. These endorsements by respected Saudi companies amount to a seal of approval and give our customers a guarantee of top quality. With Albilad fire suppression systems you know you are in safe hands. Foam, dry chemical, water, or CO2 fire suppression systems—we have everything you need at affordable rates. Place a Service Contract/Agreement with Albilad for foam and CO2 fire suppression systems. Or contact us for more information about VESDA, NOVEC 1230 and FM-200 systems in Saudi Arabia.